One of the most confusing aspects of liquid soapmaking is pH. 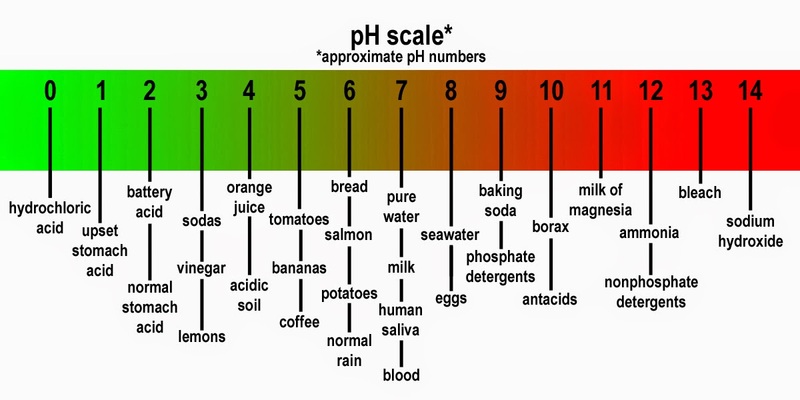 What should my pH be? How can I lower the pH of my soap? Why do I need to know the pH of my soap? Liquid soap is an alkaline product meaning it wants to and will always have an alkaline pH - typically between 9 - 10.5 If you try to lower the natural pH of your soap, you begin to release fatty acids into the mixture which can cause all sorts of problems from separation of these fatty acids from the soap into a distinct layer that floats to the surface, to haziness, cloudiness and so on on. When making liquid soap, it is lye excess that you need to worry about not pH. Having excess lye in your soap is what causes it to be caustic and not safe to use. Testing pH will not tell you if you have excess lye and you need to test with either a zap test on your cooled paste or with Phenolphthalein drops. “ pH measurement with a probe is dependent on ion exchange in aqueous solution. The probe is designed to be use as per ASTM method, which is 10% in aqueous solution. The water is needed to help with ion transfer across the probe's semi permeable glass electrode. I know it seems like it makes more sense to stick the probe into the product, but simply put; this is not what the probe is designed for.” - Derek C.
“ A pH probe is designed with 2 electrodes in an aqueous solution; a glass (working) electrode and a reference electrode. The glass electrode is made out of a special type of glass that allows hydrogen ions to penetrate it's outer layer. This movement of ions sets up a potential (electric current) which is proportional to the pH of the solution. Now, think of the ions as ping pong balls in a jar. If the jar of ping pong balls is packed too tightly, they can't move. If the solution - in this case soap - is too concentrate the ions can't move. These ions need a polar solvent to move around it. That polar solvent is water. If you have a big jar with only a few ping pong balls, they can move freely, as intended. Simply put, you don't get ion movement within the solution if there isn't enough water. If the ions aren't free to move they can't cause a potential across the electrode and you get a false pH.” - Derek C.
Another way to look at it is using an analogy of seeing through fog - the higher the concentration the foggier the environment to see through, the more diluted, the clearer the view. So if you are testing the pH of your soap in anything other than a 1 - 10% soap solution, then you are most likely getting an inaccurate pH reading. When testing pH, the three most common methods used are digital pH meters pH testing strips and litmus testing papers. The meter will be the most accurate option as long as it is decent quality and easily calibrated. For the testing below, I created a 100% coconut oil paste with a 0% superfat using only KOH/Distilled water. No additives, no pH adjusters - just distilled water to get to the desired concentrations and ratios of paste to water. I used 100% coconut oil as I knew it could be diluted at a low water to paste ratio giving me a very concentrated soap. As you will see, there is a reason why it is best to measure you pH in a highly diluted sample. The actual pH does not vary in any significant amount, but the ability to accurately measure it will be affected. These samples were created using 4 different dilution rates as seen in the image below. 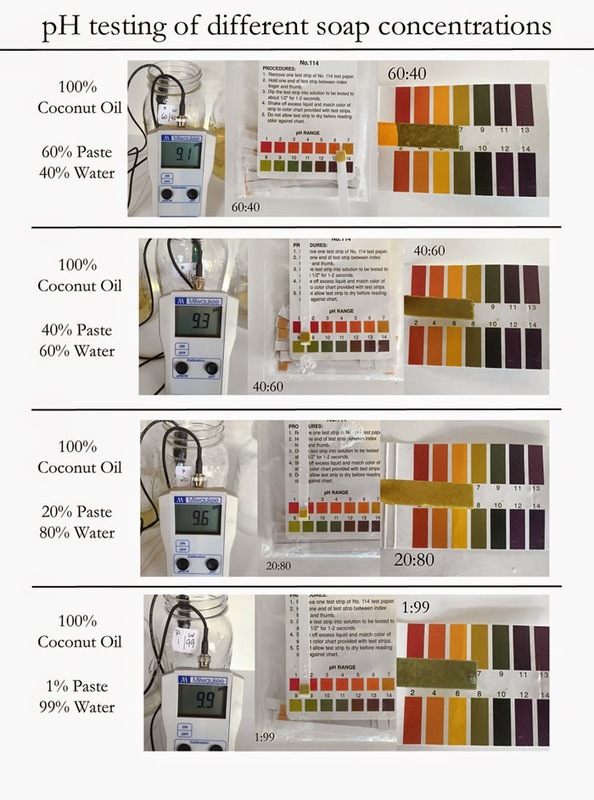 Below are the results of pH testing at various soap concentrations. all at room temperature. You can see how much the readings vary and the most accurate reading is the 1% solution. Also note how “off” the pH papers and litmus test strips are compared to the digital meters. Also, please note that this only focuses on concentration and how it affects activity of hydrogen ions which effects the READINGS not the actual pH. There are also other variables that will affect pH readings including the temperature of the soap and how homogenous the solution is. 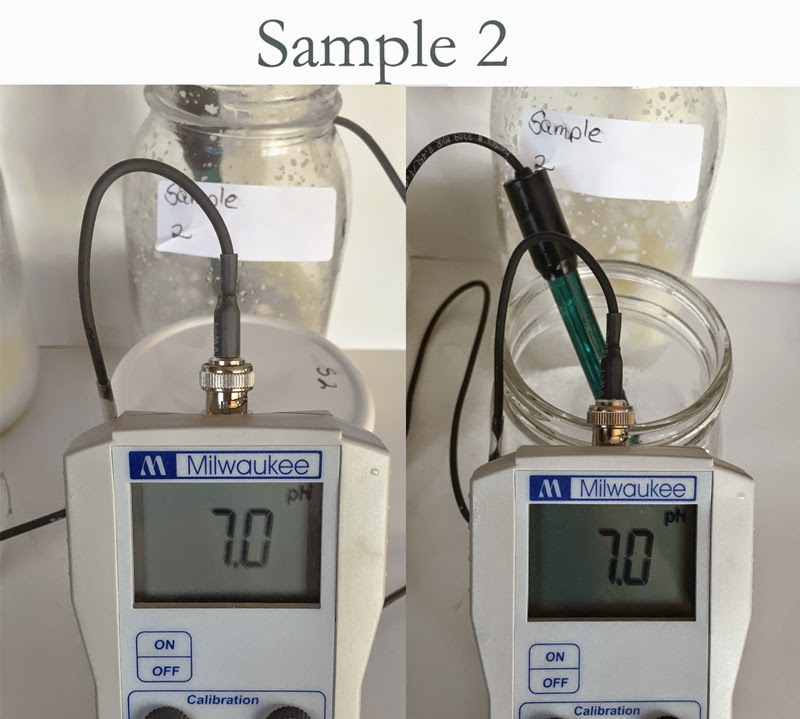 Make sure to calibrate your meter using the same temperature for both the calibration fluid and the aqueous solution to be tested. When it comes to liquid soap, your soap does not want to be neutral or basic, it wants to be alkaline and when it loses that alkalinity, it starts to fall apart and break down into water, glycerin, fatty acids, potassium citrate (if citric acid was used to adjust your pH) and whatever soap content is left. First it may get cloudy or hazy, then it will separate into two distinct layers or become a thicker opaque mixture until you are left with a layer of mostly water and a layer of another congealed semi-solid substance that would take lab evaluation to determine the actual make-up of the substance. 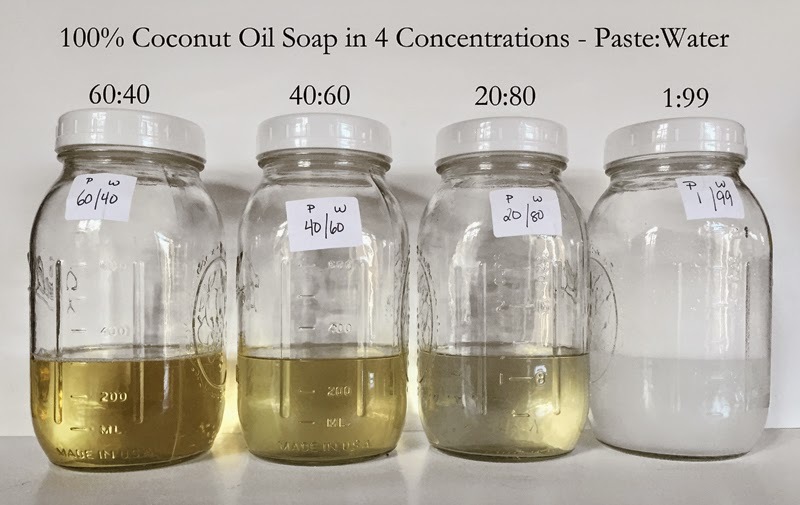 The image below shows soap from the exact same batch (60% olive oil, 30% coconut oil, 10% castor oil, KOH and distilled water with a 0% superfat). Citric acid was used to reduce to pH of these samples to between 7.0 and 9. 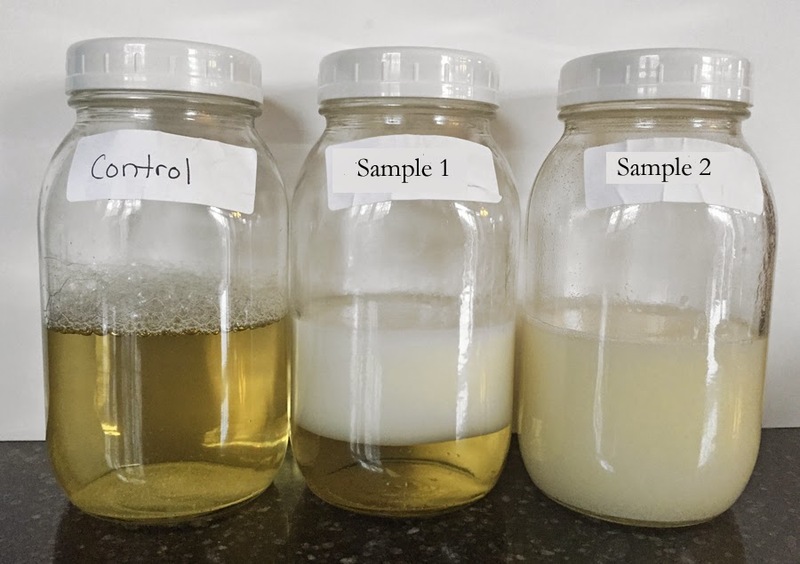 The soap used in this testing was originally diluted at a 1:2 ratio so my 15 ounces of paste was diluted with 30 ounces distilled water then separated into three 15 ounces samples. I used citric acid (that is the most common ingredient soapmakers use to adjust the pH of their liquid soap) to lower the pH of samples 1 and 2 leaving my control sample as is. You can see what happens to your soap as you adjust the pH down. Readings were taken on the concentrated samples and further diluted samples for more accuracy. The further diluted samples were 90% distilled water and 10% of the concentrated soap. 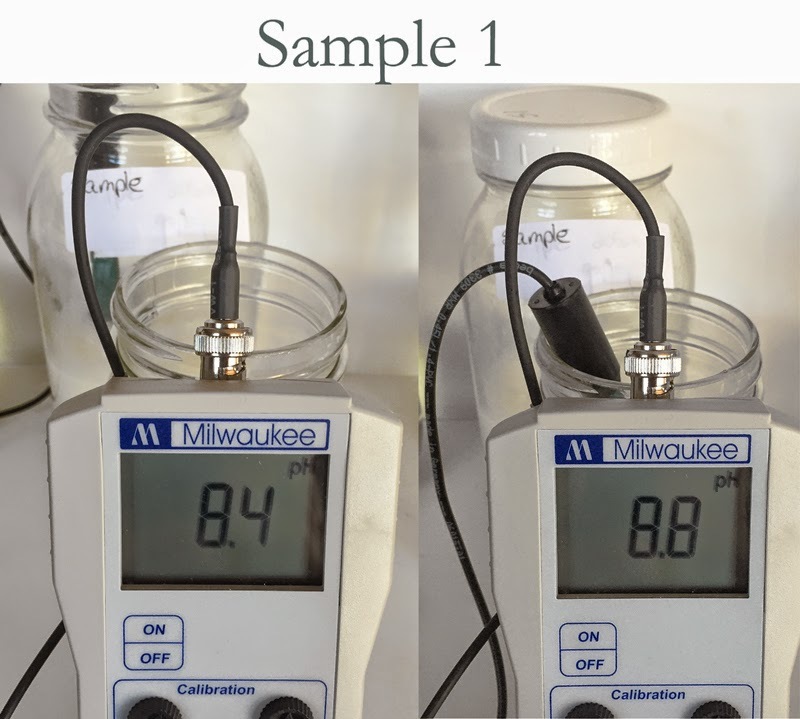 As you can see from the test results, the pH readings of the more concentrated samples are slightly lower than the less concentrated samples. 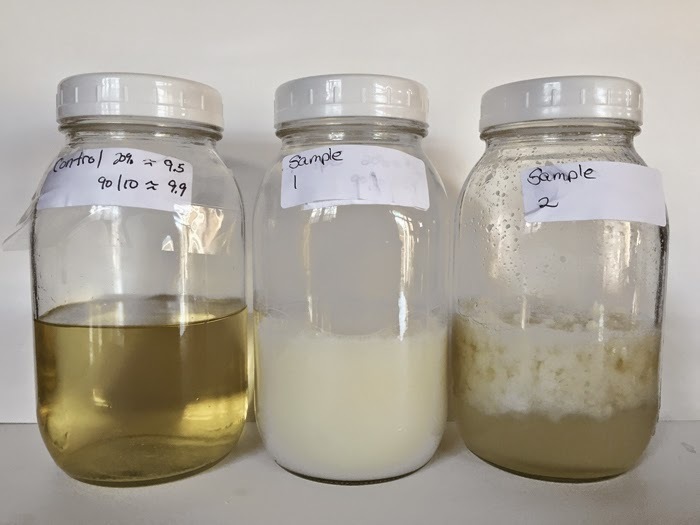 Sample 2 is extremely difficult to assess as there are two distinct layers/substances within the sample that cannot easily be homogenized into a single substance. I am assuming the readings are only based on the liquid at the bottom which is most likely a hight water content, but I cannot be sure - thus the reason for the similar readings on both samples. Please note these are READINGS only, not the actual pH of the soap (which is most like close to the further diluted samples). 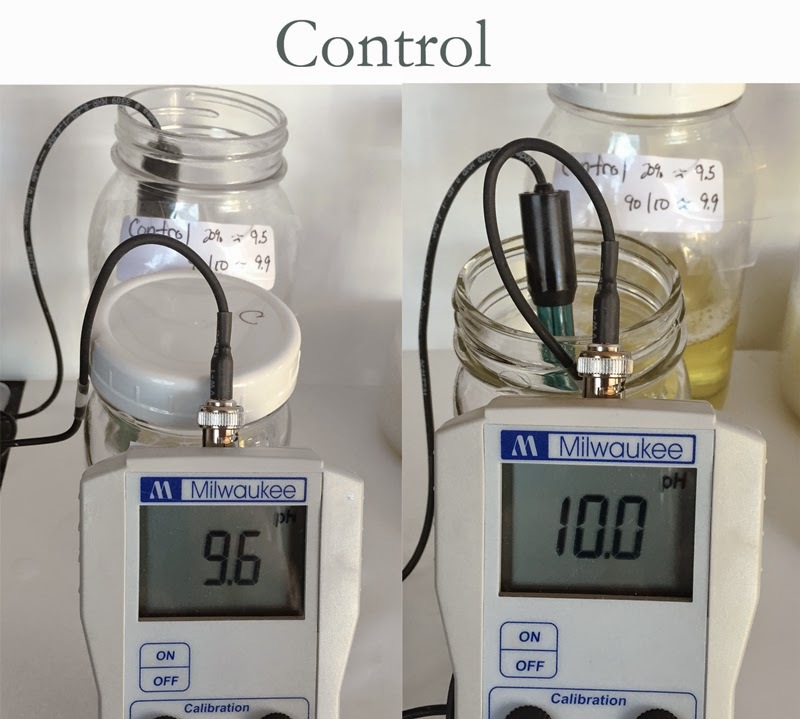 The readings on the left are the 1:2, Paste:Water dilution samples, the reading on the right are the further diluted samples of 90% distilled water and 10% of the concentrated soap - both from the second round of pH adjusted soap. 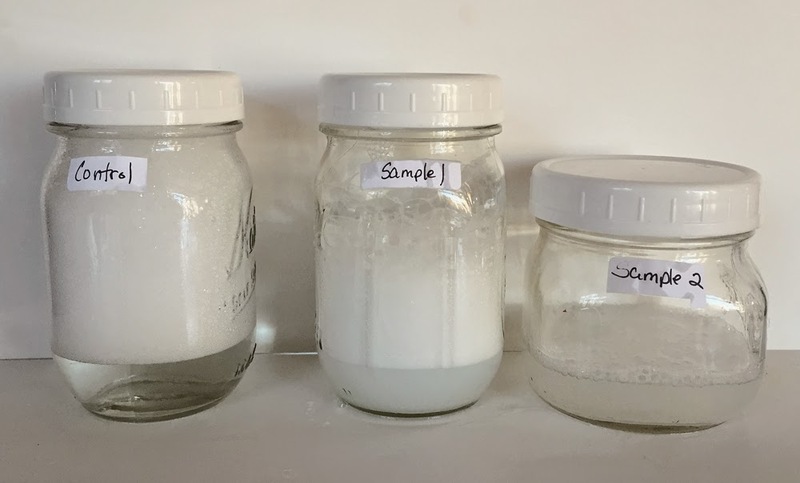 Shaking each diluted sample for 15 - 30 second shows how much lather is lost as the pH is lowered and the soap content is also lowered as a result. Notice how sample 2 has almost no lathering abilities. While I used citric acid to lower the pH of these samples, other acids can be used too, the results may look slightly different, may look quite similar - but pH is pH and lowering the pH beyond what will hold to soap together will still apply no matter what is used to adjust it downward. Be wary of people who tell you the pH of their clear liquid “soap” is neutral or anything below 9 unless they have properly tested it for accuracy. There are too many variables for one to accurately determine the actual pH without a controlled lab and lab grade equipment. Be cautious when attempting to adjust the pH of your soap, small decreases can result in unwanted results and instability on your product. Don’t worry too much about the pH unless you need to troubleshoot a problem with your soap. Worry about excess lye. If you do not have excess lye your pH will be in the normal range for liquid soap. If you are going to determine the pH of your liquid soap, keep all of the variables that can affect your readings in mind and realize that you may not get an exact or accurate reading using the resources and equipment we have available to us. Papers and strips are great for general ideas of whether the substance is acid or alkaline but cannot be relied on for accuracy. Properly calibrated digital meters will give you more accurate pH readings. Great article! Really explains why the pH of liquid soap cannot be neutral. The alkalinity of the true liquid soap is what makes it soap and why it cleans. I'm still confused ... what should the soap paste be diluted to in order to get an accurate ph reading? You want about a 1% solution to get the most accurate reading. Take 99 grams distilled water and add 1 gram of your soap paste and allow it to dissolve. Then test that solution. Wow ! Great information aboutpH test strips effectively since they are an over the counter thing and no medicine is required. There are times when individuals will overlook that they have lapse dates and will give them a chance to terminate before use which implies there must be a consistent supply to the individual regardless of the possibility that they don’t test their recommended sum. Thank you for doing this and putting it out there. I've seen way too many sites advocating lowering the pH of the liquid soap, and as someone with a background in chemistry, this has made absolutely no sense to me. Soap is alkaline and is meant to be alkaline, and it won't harm your skin just because it is, as long as the soap has other appropriate qualities and isn't full of lye.